WALDHART, Elmar - Peacefully surrounded by his family on Sunday January 21st 2018, at Lakeridge Health Oshawa. Beloved husband of 25 years to Maria. Loving stepfather of Joe (Sherry) and Sandra (Mark). Cherished grandfather of Stefanie (Adrian), Brittany (Vince), and Olivia (Matthew). 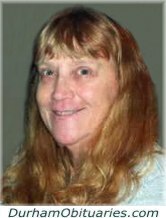 ABRAHAMS, Linda Berle - Passed away on January 21, 2018 in the comfort of her home surrounded by her family. Linda was born on December 5, 1943 in Guyana. 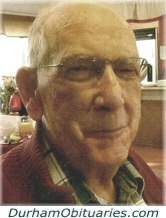 SMITH, Ivan Glenn – Passed away suddenly at his home in Beaverton, on Sunday January 21, 2018 in his 87th year. Beloved husband of Glenna (Drake) for 63 wonderful years. Ivan leaves behind his children Randy, Doug, Shelley (Yancy) Ambing, Brad, and Kelley (Neil) Parliament. 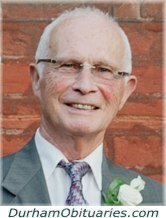 O'KEEFFE, Francis "Frank" Martin - Died unexpectedly on Sunday, January 21, 2018 at his home in Pickering. Predeceased by his parents, Mary Hannan and Patrick O'Keeffe, his sister Catherine and three infant siblings. Passed away suddenly on Sunday, January 20th, 2018, at the age of 48 years. Dearly beloved husband of Janice Hoy. Proud and loving father of Blake, Brock, and Brody. 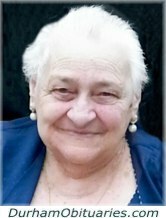 PEDERSEN, Rita Kamma - (Chrysler Retiree) - Passed away peacefully on Saturday, January 13, 2018. Beloved mother of Wayne (Laurie) and Jerry (Karen), grandmother of Meghan (Rajan) and Jerry, and greatgrandmother of Jasmine and Maya. Rita lived life to the fullest, travelled all around the world and enjoyed over 30 cruises with her partner Don (predeceased). Rita will be deeply missed and fondly remembered by her family and friends. SNUCINS, Janis – Passed away on January 20, 2018 at Lakeridge Health Bowmanville at the age of 94. 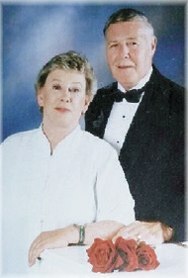 Predeceased by his wife Pauline (2002). Father to Vit (Sheila), Ed (Janet) and Erik. Now with her Lord and Savior. It is with heavy hearts the family announce the peaceful passing of Fortunata on Saturday, January 20th, 2018 at Lakeridge Health Oshawa. Loving wife of Agostino Lino Puglisevich for 62 years. Devoted mother of Frank (Lori), Mario (Bernadette) and Doris (Andrew). 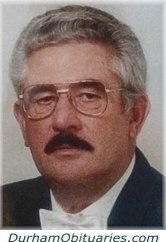 Passed away at Lakeridge Health Oshawa on Saturday January 20th, 2018 at the age of 79. Loving husband of Una Debosky (nee Hennelly) of Oshawa for 51 years. Much loved Dad of Stephen Debosky and his wife Theresa of Newnan Georgia and Andrea Debosky and her husband Ernie Csizmadia of Bowmanville. It is with sadness twice over that we now write of the passing of Lorna Hayes at age 85, just 43 days after the passing of her husband of 63 years, Clifford. Lorna died peacefully at Hillsdale Estates with family at her side. 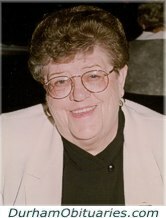 Lorna was the beloved mother of Blaine, Philip and wife Cindy, Janet, and Carol and husband Chris. It is with great sadness that we announce the passing at home of Margaret Wyrozub in her 94th year on Saturday, January 20th, 2018. 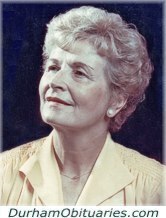 Margaret was born on February 5th, 1923 in Shabaqua, Ontario, just north of Thunder Bay, to John and Julia Derkacz. 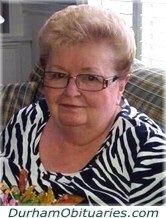 ROWINSKI, Marie Elizabeth “Mona” (nee: McAdam) - It is with great sadness we announce the sudden passing of Marie on January 20th, 2018 one day shy of her 76th birthday. Loving wife of 50 years to the late Michael Rowinski (2012). Fun-loving mother to Terri-Lynn (Scott Hill) and Lori-Ann (Gerard Conlin). 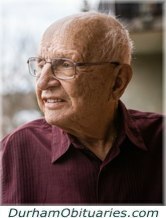 Passed away peacefully on Saturday, January 20th, 2018, at the age of 85 years. Predeceased by his wife Muriel and son Shane. 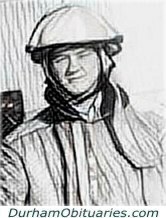 Survived by son Stephen (Corinne), daughter Susan Smith; Daughter in-law Carol Irvine; grandchildren Todd and Adam Smith (Leah McCormick), Rachel and Dylan Irvine; and great grandchildren Lily Smith. STEAD, Gordon - Peacefully, on Saturday, January 20, 2018 at Reachview Village in Uxbridge, at age 73. 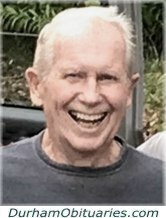 Gordon, beloved husband of Maureen “Mo” (nee Edwards). Sandy passed away in Oshawa at the age of 57. Loving partner of John Jarrett and beloved mother of Kyle Spenceley. 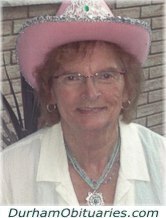 JONES, Margaret Louise - Retiree General Motors of Canada 46 Years-Service. Peacefully on Friday January 19, 2018 at Lakeridge Health Oshawa at the age of 88. Margaret is predeceased by her parents David and Ruby Jones (nee Anderson) and her siblings Gertrude Lillian Jones, George (Ruby), and Reginald (Alice) and Dorothy Coverly (George). CRAWFORD, Harold - It is with heavy hearts the family announce Harold’s sudden passing at home on Friday, January 19, 2018 in his 85th year. Beloved husband of the late Marie Crawford. Loving mother of Ben (Gail), Steve (Tony Speck) and the late Michael. 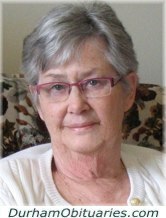 DALE, Elizabeth (nee Bugden) - After a long battle with cancer, Promoted to Glory with her family by her side on Friday January 19, 2018 at Lakeridge Health Bowmanville in her 87th year. Beloved wife of the late Leonard. Dear mother of Gilbert (Tammy), Sam (Renée), David (Lorenda), Sharon (John) Inglis and Joanne Wolfe. It is with heavy hearts we announce the passing of John Gasior on January 19, 2018 at Lakeridge Health Bowmanville. Father to Linda (Juan), Jonathan, Mark (Karolina) and Cindy (Nelson).